BEIJING — As China's leaders gather for their annual Yellow Sea retreat, the country's political waters are looking choppy. 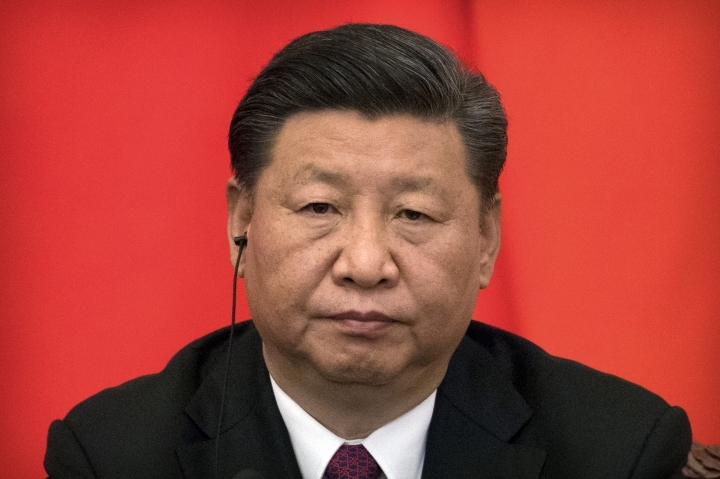 Chinese President and ruling Communist Party leader Xi Jinping is beset by economic, foreign policy and domestic political challenges just months after clearing his way to rule for as long as he wants as China's most dominant leader since Mao Zedong. Mounting criticism of the Xi administration's policies has exposed the risks he faces from amassing so much power: He's made himself a natural target for blame. "Having concentrated power, Xi is responsible for all policy setbacks and policy failures," said Joseph Cheng, a retired City University of Hong Kong professor and long-time observer of Chinese politics. Notably, Xi used to dominate state-run newspapers' front pages and the state broadcaster CCTV's news bulletins on a daily basis but has in recent weeks made fewer public appearances. "He can't shift the blame, so he's responding by taking a lower profile," Cheng said. The challenges so far aren't seen as a threat to Xi's grip on power, but for many Chinese, the government's credibility is on the line. Of greatest concern to many is the trade war with the U.S. that threatens higher tariffs on hundreds of billions of dollars of Chinese exports. Critics say they've yet to see a coherent strategy from Beijing that could guide negotiations with Washington and avoid a major blow to the economy. Beijing instead seems to be opting for defiance and retaliatory measures of its own. At the same time, a scandal over vaccines has reignited long-held fears over the integrity of the health care industry and the government's ability to police the sprawling firms that dominate the economy. "Trust is the most important thing and a loss of public confidence in the government could be devastating," said Zhang Ming, a retired professor of political science in Beijing. And last week, the authorities mobilized a massive security effort to squelch a planned protest in Beijing over the sudden collapse of hundreds of peer-to-peer borrowing schemes that underscore the government's inability to reform the finance system to cater to small investors. Meanwhile, Xi's signature project, the trillion-dollar "Belt and Road" initiative to build investment and infrastructure links with 65 nations, is running into headwinds over sticker shock among the countries involved. Some Chinese have also questioned the wisdom of sending vast sums abroad at a time when millions of Chinese remain mired in poverty. That in part plays into concerns over Xi's abandonment of the highly pragmatic, low-key cautious approach to foreign relations advocated by Deng Xiaoping, the architect of China's economic reforms that laid the groundwork for today's relative prosperity. Leaders are likely to discuss at least some of these challenges during informal discussions at the Beidaihe resort in Hebei province as part of a tradition begun under Mao. Xi and others generally drop out of sight for two weeks or more during the summer session. Xi's mildly bombastic brand of Chinese triumphalism "has not been popular with many in the party," leading critics to speak out, said Steve Tsang, director of the China Institute at London's School of Oriental and African Studies. Some have even called for the sacking of one prominent proponent of the rising China theme, Tsinghua University economist Hu Angang, with 27 graduates of the elite institution signing a letter to that effect. 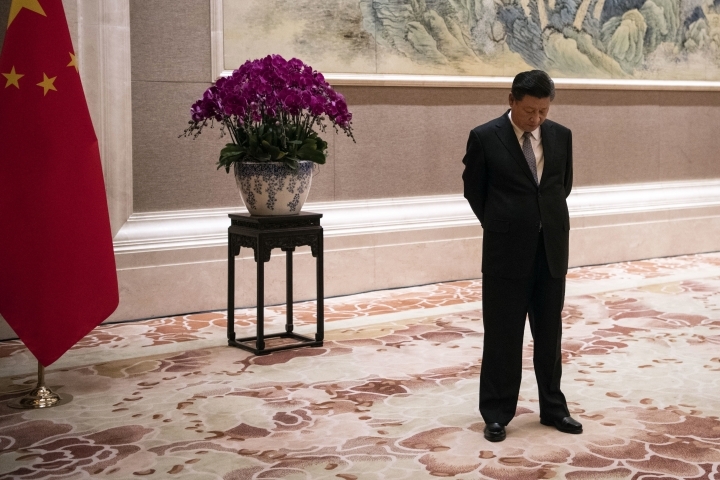 Resentment lingers also over Xi's moves to consolidate power, including pushing through the removal of presidential term limits in March and establishing a burgeoning cult of personality. That resentment was given voice in a lengthy jeremiad titled "Imminent Fears, Imminent Hopes" penned by Tsinghua University law professor Xu Zhangrun, who warned that, "Yet again people throughout China ... are feeling a sense of uncertainty, a mounting anxiety in relation both to the direction the country is taking as well as in regard to their personal security." "These anxieties have generated something of a nationwide panic," Xu continued before listing eight areas of concern including stricter controls over ideology, repression of the intelligentsia, excessive foreign aid and "The End of Reform and the Return of Totalitarianism." Even more boldly, Xu called for a restoration of presidential term limits and a re-evaluation of the 1989 pro-democracy movement centered on Beijing's Tiananmen Square. The peaceful protests were crushed by the military and remain a taboo topic to this day. Although Xu is reportedly out of the country and has not been officially sanctioned, another longtime critic, retired professor Sun Wenguang, found himself carted off by police in the middle of a radio interview with the Voice of America in which he railed against China's lavish spending abroad. A sign of the Xi administration's anxieties is a new campaign to promote patriotism among intellectuals — a recurring tactic when public debate is seen as needing a course correction. The notice of the new campaign, issued July 31, cites "the broad masses of intellectuals" and the "patriotic spirit of struggle," while giving little in the way of specifics. Much of the discontent with Xi can be traced to his administration's perceived ineffectiveness, said Zhang, the retired academic. "If you want to be emperor, you must have great achievements," Zhang said. "He hasn't had any, so it's hard to convince the people."